My dear friends, today I justed wanted to share with you an idea for a light and delicious meal which is so easy and quick to make. 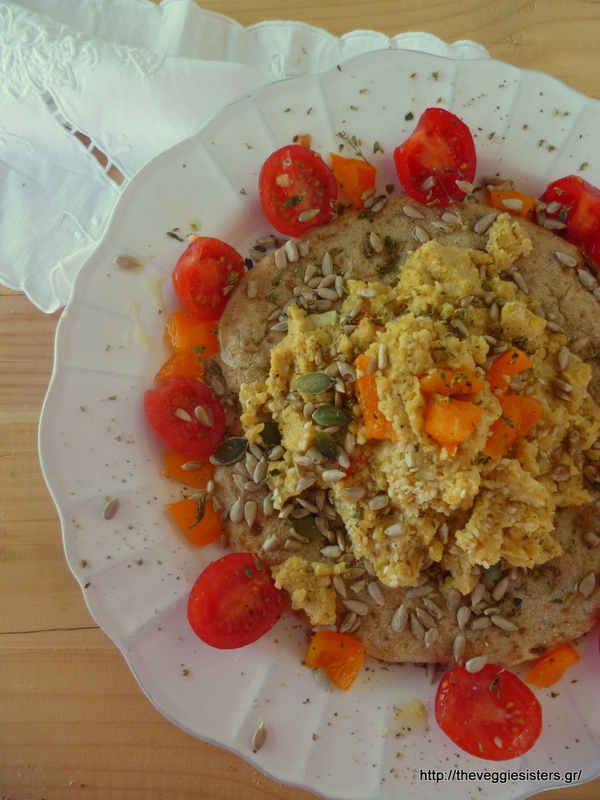 It is a fine way to eat more legumes and get your precious proteins! 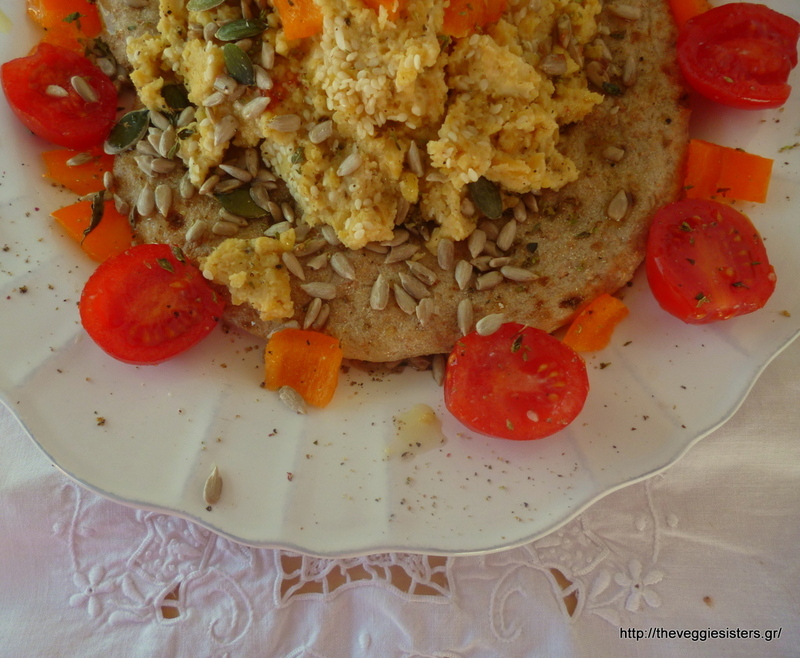 Pita topped with chickpea hummus, seeds and veggies! So simple, but at the same time so tasteful! Since I first tried hummus, I have become a huge fan of it! Here are some hummus ideas for you to check out: this, this and this. Bake the pita according to package instructions. Pour olive oil. Place hummus and peppers in the middle. Sprinkle with pumpkin and sunflower seeds. Season with salt and pepper. Garnish with cherry tomato halves. Enjoy! 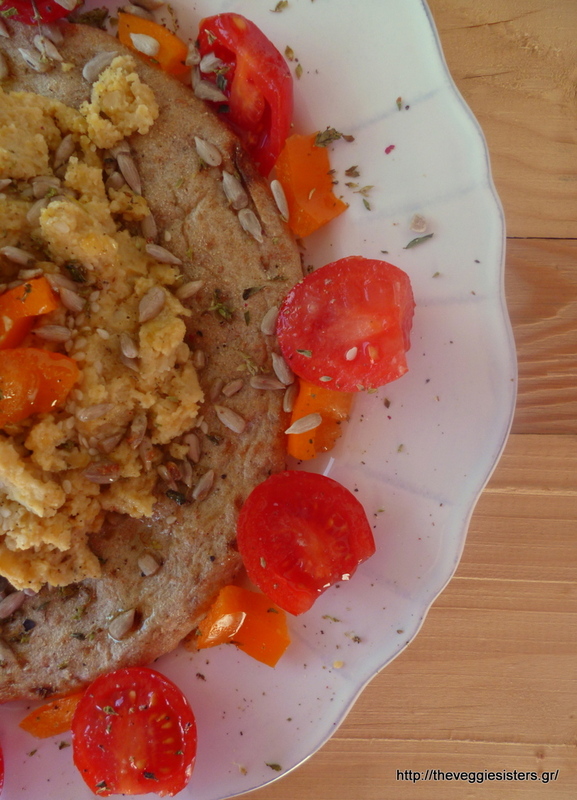 Share the post "A light meal:pita with hummus and tomatoes"